We have had a fantastic few days in Denali Park and are looking forward to a few more. The 29th we drive in to the Teklanika campground on the Park road. Below are some images we have obtained in the Park. Some from the bus ride to the end of the Park road, others from publicly accessible locations in the Park. The one of the barista was at the Wilderness Access Center. Excellent Mocha coffee! We were fortunate enough to be among the 30% of the Park visitors to get to view both peaks of Mt. McKinley which is called Denali by the natives. Mt. 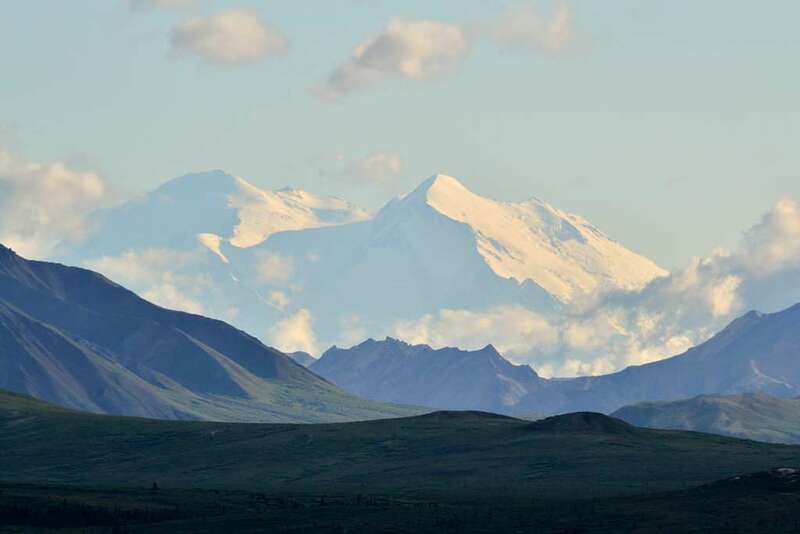 McKinley, called Denali by the natives. From 75 miles away. 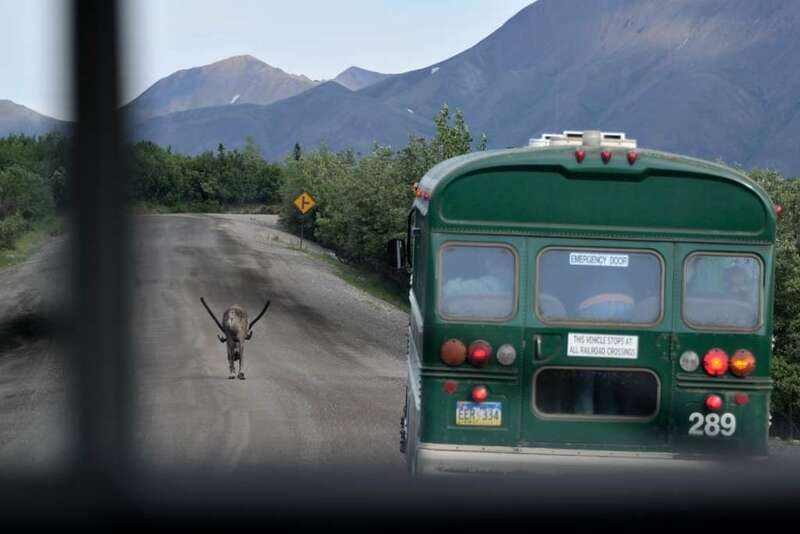 Caribou leading the buses down the Parks road. Larry you were so fortunate to see ‘The High One’ on an almost perfect day. What a thrill to have this in your portfolio. 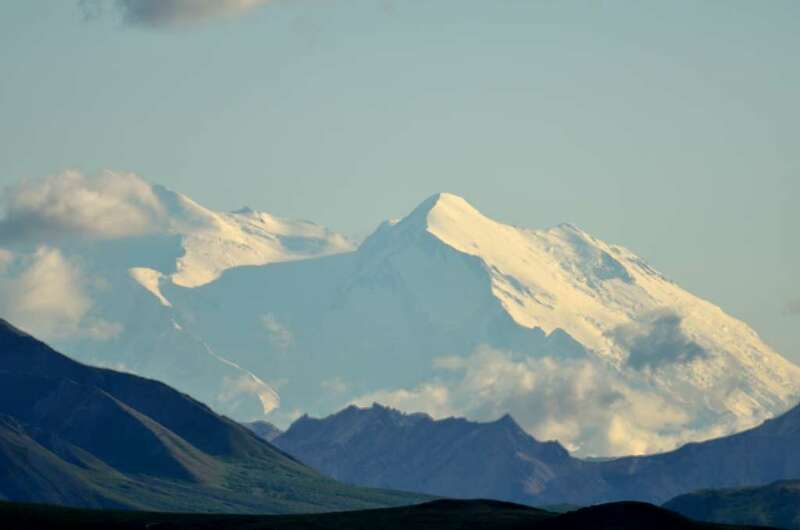 I just posted my Denali image on my website blog. Take a look. You can leave a comment at the bottom of the page.